In case you haven't heard there is a rare cosmic Triangle floating above our heads these days. Jupiter who just recently entered Cancer, formed the third corner of a Grand Trine (a complete equilateral triangle) with Saturn in Scorpio and Neptune in Pisces. This Grand Trine between the biggest planets in our solar system is extremely rare and carries great importance as a reflection of our era. 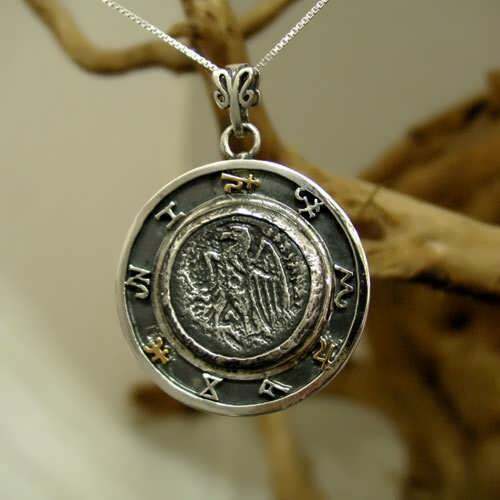 Limited Edition - only five talismans were made! Assembled at 19th of July 2013 between 10:52-11:38 GMT. The Trine aspect of 120 degrees represents "high conductivity" between planets, it denotes free flowing, frictionless movement and natural communication, therefore it is considered very harmonious. 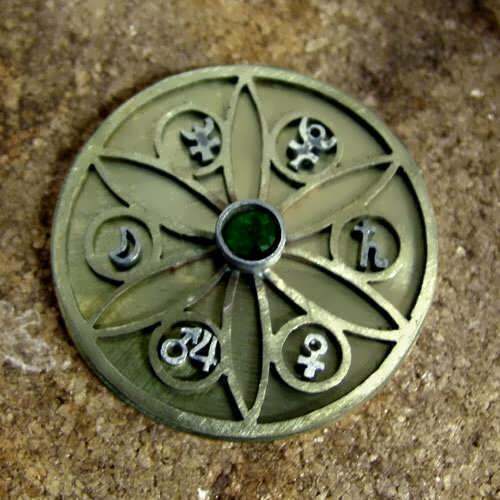 ​Trines connect planets which share the same element and gender (in this case, water/feminine), therefore they share a common background and are in a good position to creates a fruitful conversation and a balanced integration. Jupiter "The Great Benefic", is placed in a powerful position in Cancer (exalted) is collecting and combining it's qualities and characteristics with those of Saturn - a rigid force of crystallization, forming boundaries (laws, tradition, maturity, seriousness, discipline, formality) and Neptune - an abstract diffusing force, melting outlines (imaginative, dreamy, utopian idealism, the highest unifying aspect of the spirit). 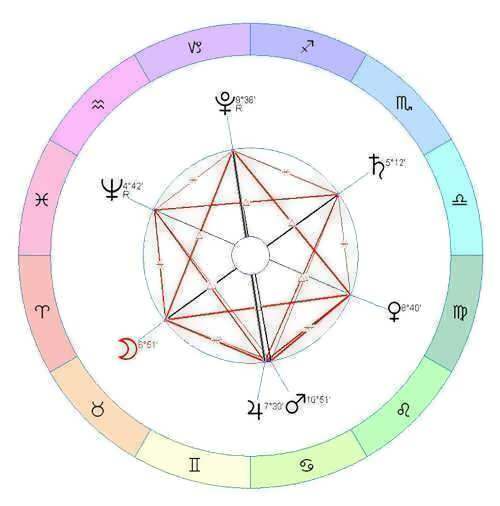 In this configuration, Jupiter which is itself connected to the human ability of integration and synthesis (therefore also growth and expansion), is responsible for joining those intrinsically opposite forces, and make them cooperate in a mutual constructive form. The emphasis of the water element expresses dynamics in the emotional level, in the deep gut feelings and empathic connections. The gap between Neptune and Saturn is the gap between the IDEAL and the REAL; abstract dream and the physical reality, imagination and idealism and life’s daily struggles. Now with this Grand Trine configuration and the devoted and “fertilizing” mediation of Jupiter, we receive a challenging opportunity to let vision and imagination (Jupiter and Neptune) have a genuine "body" (Saturn), and to bring down these idealistic ideas to the ground and make them a reality. By the end of this month there will be another cosmic celebration. The current Grand Trine of Jupiter, Saturn and Neptune together with a second Grand Trine of Venus, Pluto and the Moon will form a perfect Star of David/hexagram! Since the Moon moves very fast, this formation will last one day during the 29th of July. 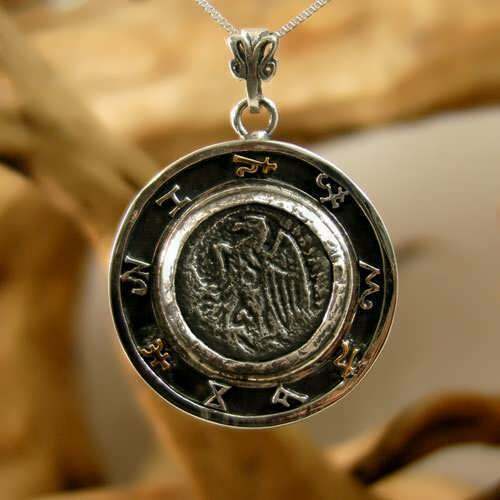 I have almost finished the special model for this occasion, and I will assemble a limited number of these talismans between 19:15 -19:55 GMT.